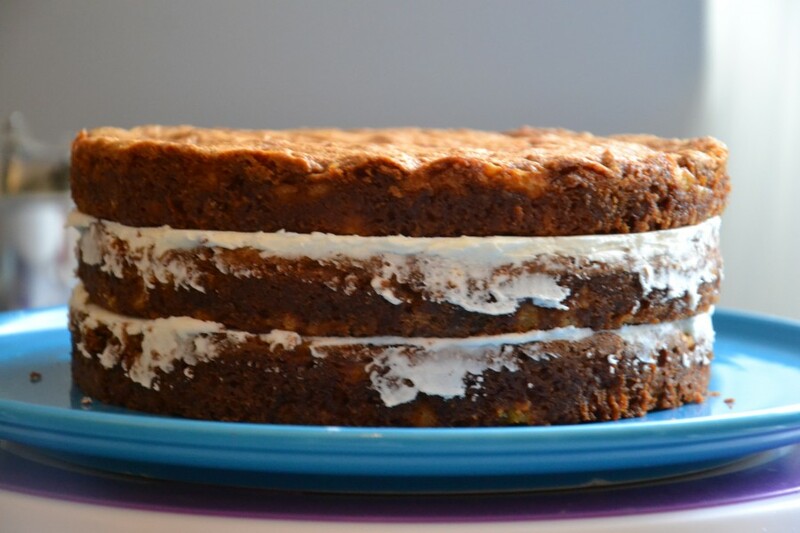 This cake looks like a party…and tastes like one, too! 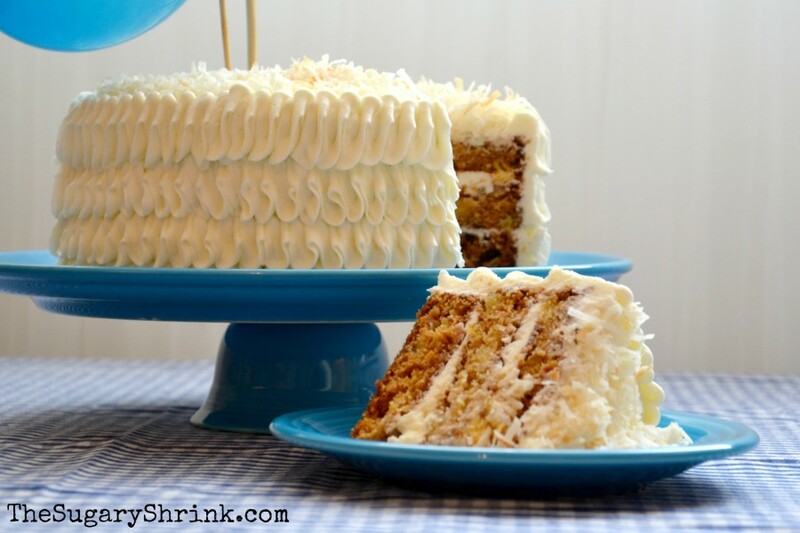 A Pineapple Cake is such a fun mid-century modern cake, but it’s absolutely relevant today. There is so much flavor happening here and coconut simply turns up the volume on fun. 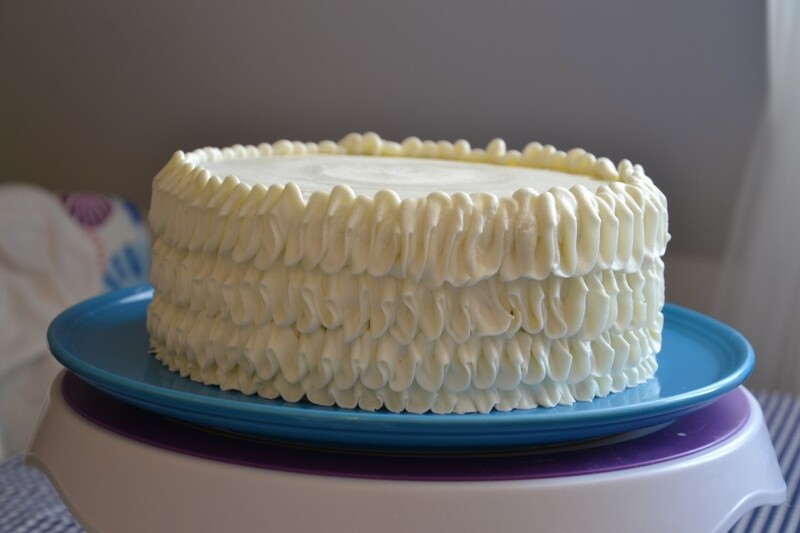 I wanted to mix two batches of Coconut Buttercream, but only had three sticks of butter at room temperature, so I tossed in 4 oz of cream cheese. 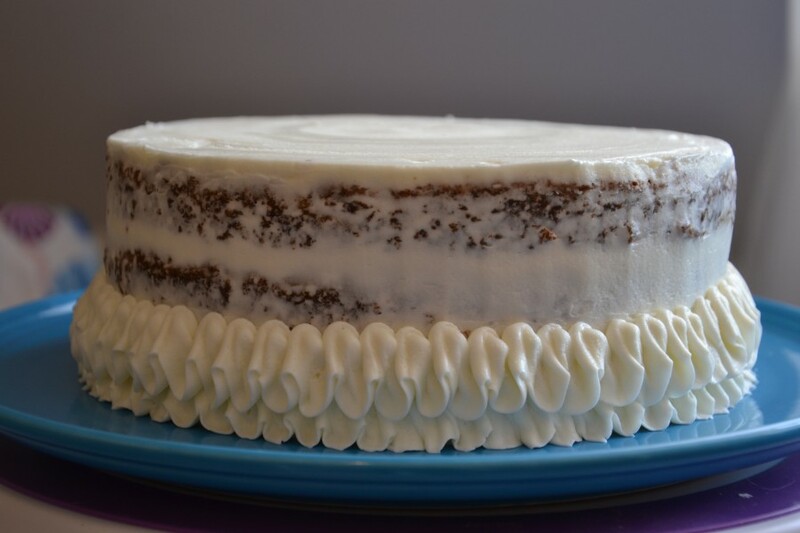 After completing the crumb coat, I popped it into the cake fridge for a few minutes while I worked with the buttercream ruffles. I tried the Wiltons Cakes #103 and #104 piping tip and preferred the size of the #104 for this particular cake. Usually, I pipe on ruffles keeping the tip at a horizontal angle, but have been wanting to try a different technique that is piped on vertically. 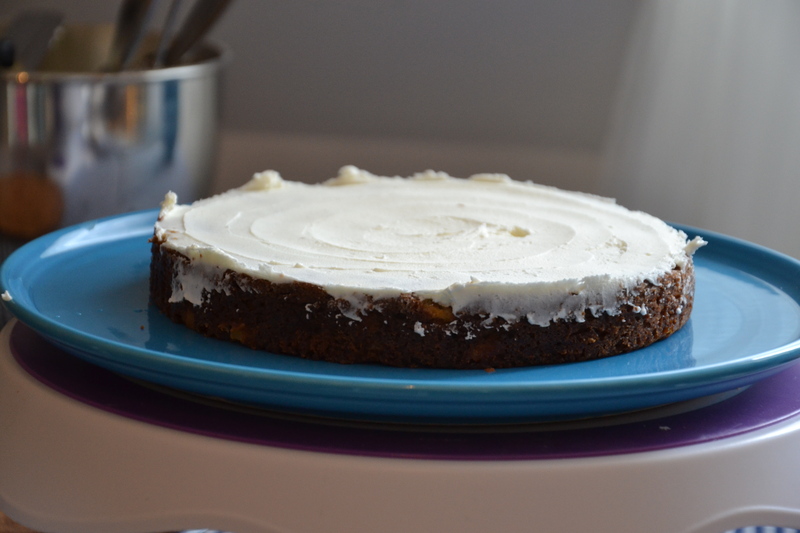 Of course that makes this cake decorating a Test Kitchen effort. Things to work on…a more steady hand in consistency. While I was working with the ruffles, shaved coconut was in the oven for a very light toasting. 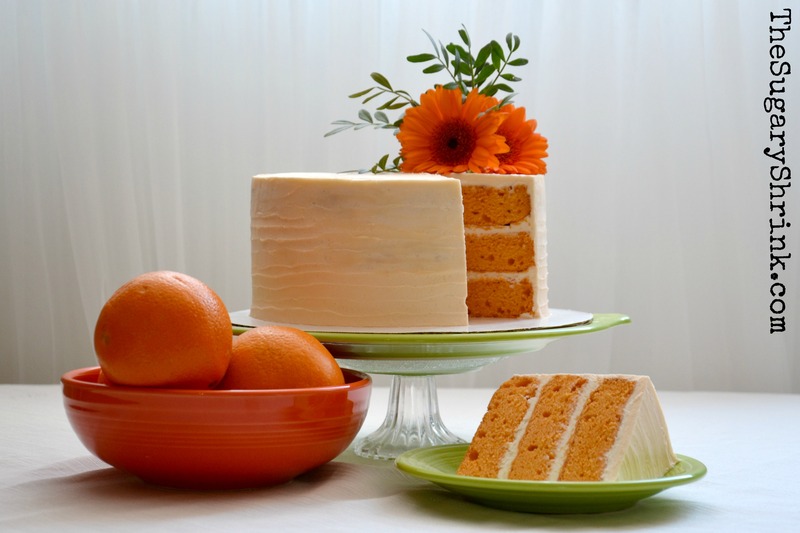 Cake decorating doesn’t have to be complicated. 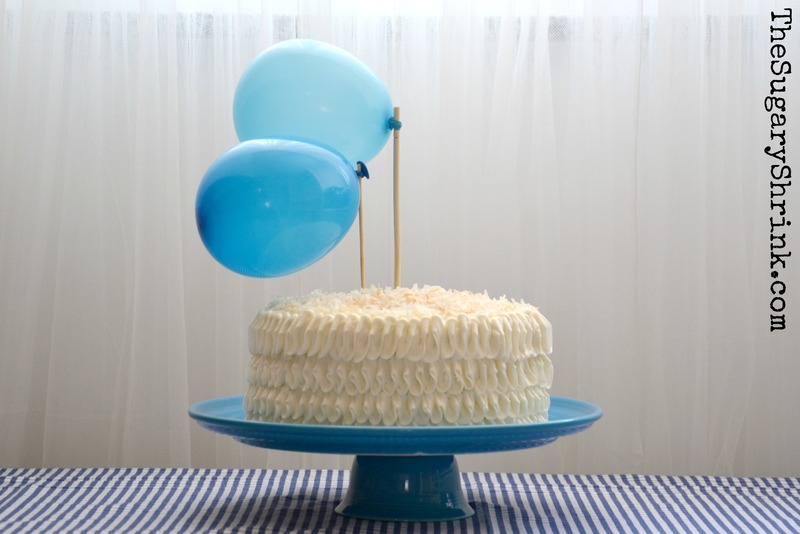 A few balloons and a couple of sticks is all that was required for this simple, yet fun cake topper. I deliberately chose the two different shades of blue to coordinate with my Fiesta Cake Plate in Peacock – I’m a real fan of this tone on tone look. How much fun would you have taking this to a party, family gathering, summer picnic, birthday dinner, etc.? 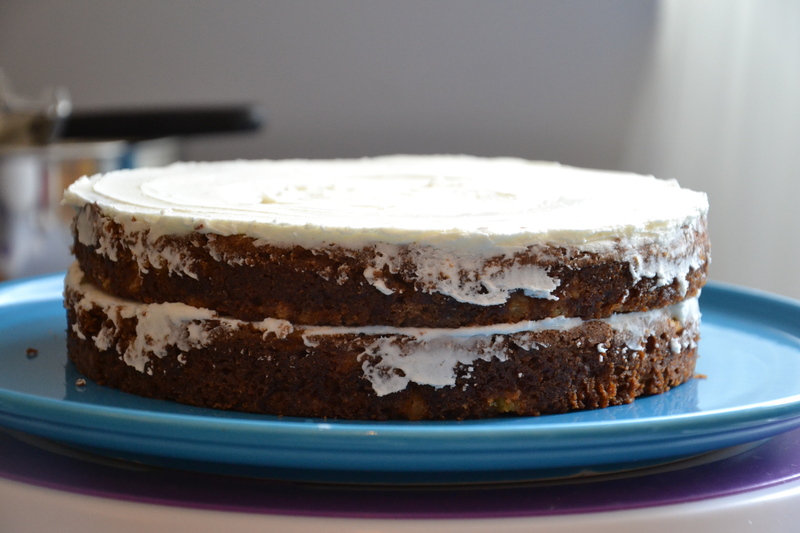 Pineapple and coconut…a classic combination. It’s a great day to find acceptance and know I’m not alone. It’s a great day to support my life partner. Previous story A Coin Purse Cake! ?